"Modesty thy name is Dadamoni"
From a lawyer, laboratory technician to a superstar. Ashok Kumar's journey was a simple one of living one's passion. He was once dismissed for not having the right looks to be a hero and started his acting career reluctantly. But he went on to be Indian cinema's most beloved actors. Whether it was the role of a romantic hero or that of a negative character, he acted with sincerity and panache. 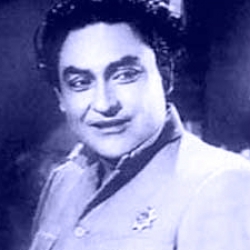 Ashok Kumar was born as Kumudlal Ganguly in Bhagalpur and was fondly called Dadamoni. His first film was Jeevan Naiya in 1936 but it was his Achhut Kanya with Devika Rani that propelled him to fame. The movie was a blockbuster and the onscreen pairing continued to deliver hits in the subsequent years. In 1943 Ashok Kumar broke all barriers by starring as an anti-hero in Gyan Mukherjee's Kismet. Not only did the film become the first Hindi movie to get a whopping 1 crore at the box office, but it made Ashok Kumar an icon. His fan following trebled and he delivered a series of hits during this phase. Dadamoni was more than just an actor. He was a mentor to young and talented artists who he helped get a break in the industry. Pran, Madhubala, Lata Mangeshkar, B.R. Chopra, Hrishikesh Mukherjee and Kishore Kumar (his brother and legendary singer) owe their careers to this stalwart of a personality. He was honoured with the Dadasaheb Phalke Award and Padma Bhushan for his outstanding contribution to Indian cinema.  SoulPrints raises its hat to this cinematic personality. His characters will forever be etched in our hearts.